McComb educators savor small victories while wondering: Where have all the black boys gone? Gilmore clapped and smiled as principals called out the names of top performers in this southwest Mississippi city of 14,000. Parents snapped cell phone photos as if attending a concert of their favorite singer. 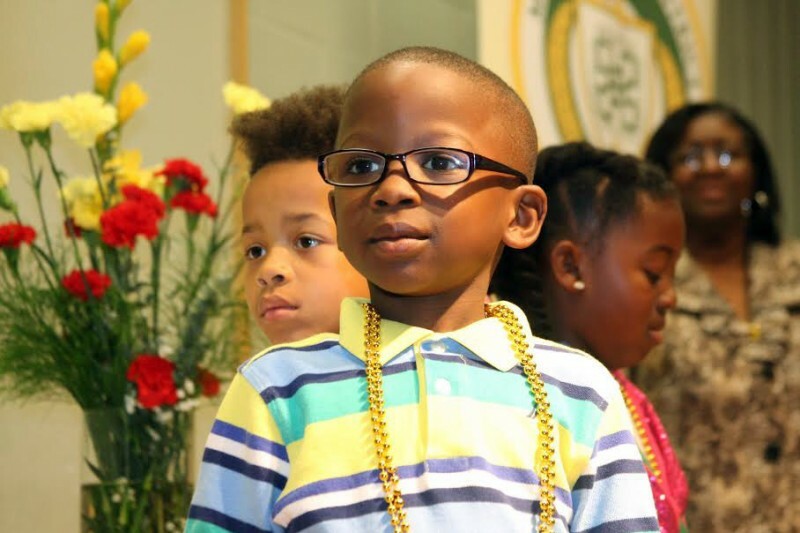 Throughout the ceremony, as primary and middle school students walked to the stage to receive recognition, the dominant presence of black boys in the lines was accentuated by their smiles as they returned to their seats with beads. But by the time McComb Superintendent Cederick Ellis called high school seniors to the stage, not one black youth walked up. The glaring gap was all too apparent. Where had all the black boys gone? There wasn’t a single black male senior among the students who had maintained an A average for three consecutive nine-week periods. This absence provided another reminder of the failure of schools in Mississippi to improve the academic performance of black boys, despite efforts spurred last year by the Coalition of Schools Educating Boys of Color (COSEBOC), a Boston-based group with a mission to improve the social, emotional and academic development of boys and young men of color. It’s not that progress hasn’t been made: McComb High School moved from a grade of F to a C within the state’s accountability system last year. But the graduation rate at McComb High is still eight points less than the state’s average of 74.5 percent. And its high school drop-out rate of 24.5 percent is more than 10 points higher than the state, where it is 13.9 percent. It’s not yet known how many of the black males who entered McComb High School four years ago will cross the stage at graduation and pick up diplomas next month, but the most recent statistics provide a frightening glimpse of failure. Of the black males who entered high school in the 2007-08 school year, according to the state, only 55 percent graduated or received a high school diploma, certificate of completion, or a GED within five years — compared to 83 percent of white males. McComb provides a close-up example of the stark disparities that remain in the educational performance of blacks and whites in Mississippi schools, which haven’t outgrown a legacy of segregation and racism. One glaring example: In 2014, black students in Mississippi averaged just 16.5 on the national college admissions exam known as the ACT, compared with 20.8 for white students. The national average for all test takers last year was 21. Mississippi’s black boys are also overrepresented in special education and are less likely to take college-level Advanced Placement tests. The state’s persistent disparities are symptomatic of a national problem recognized by President Barak Obama, who in 2014 launched his “My Brother’s Keeper” initiative, aimed at improving outcomes for boys and young men of color. In McComb, history has strongly influenced how schools serve blacks. The civil rights movement and the end of legally-sanctioned segregation met bitter and violent resistance from white groups in the county. During a two-month period in the early 1960s there was so much incendiary violence against civil rights groups that McComb became known as “the bombing capital of the world.” More than fifty years later, the city’s five public schools remain segregated. Of the 2,743 students, 89.25 percent are black; just 8.6 percent are white. Meanwhile, the city itself is 31 percent white and 66 percent black, according to U.S. census data. Related: Have lessons about Mississippi’s violent past become optional? Many white parents send their children to the predominantly white North Pike School District even though they live in McComb, said Ellis, the McComb school superintendent. North Pike is 66 percent white and 32 percent black. Other white families choose Parklane Academy, a private, predominately white K-12 Christian School, he said. North Pike’s 2013 graduation rate of 76 percent is almost two points higher than the state average and 10 points higher than McComb’s. Named after New Orleans railroad baron Henry Simpson McComb, this city’s fortunes followed the rise and fall of the railroad. Like many small municipalities, McComb hasn’t replaced the industry that gave it a name. In 2014, black students in Mississippi averaged just 16.5 on the national college admissions exam known as the ACT, compared with 20.8 for white students. Today, McComb moves along two distinct tracks, one black and the other white. The black unemployment rate of 14 percent is more than double the white rate of six percent, according to American Community Survey data. White households earned approximately $36,400, while black households earned about $29,200. Both groups earn less than the U.S. average of $53,000, a gap that has existed for more than a decade. Manufacturing remains the largest industry in Pike County, where McComb is located; retail and service round out the main outlets of employment. McComb has fought hard to improve its public schools. Some of the district’s progress stems from a concerted effort beginning in 2009 to boost its then-wanting graduation rate of 63 percent. Although numbers indicate black achievement, overall, is significantly lower than white, the district decided to focus reform efforts specifically on the performance of black males. The need for a focus on African-American males remains. 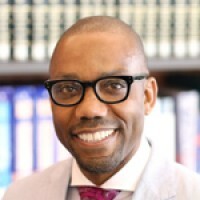 Overall, Mississippi’s black males graduated at a rate of just 51 percent for the 2012-13 academic year, compared to 63 percent of white males, according to the Schott Foundation for Public Education, which, in a report titled Black Lives Matter, drew on multiple data sources to estimate and publish more complete graduation rates than those presented by the state. The report also revealed huge discrepancies in black and white suspension rates: Some 17 percent of black students were suspended in Mississippi in 2012-2013, compared to just seven percent of whites. Aware of the disparities, school leaders in McComb sought ways to help improve student performance and black male outcomes in particular. 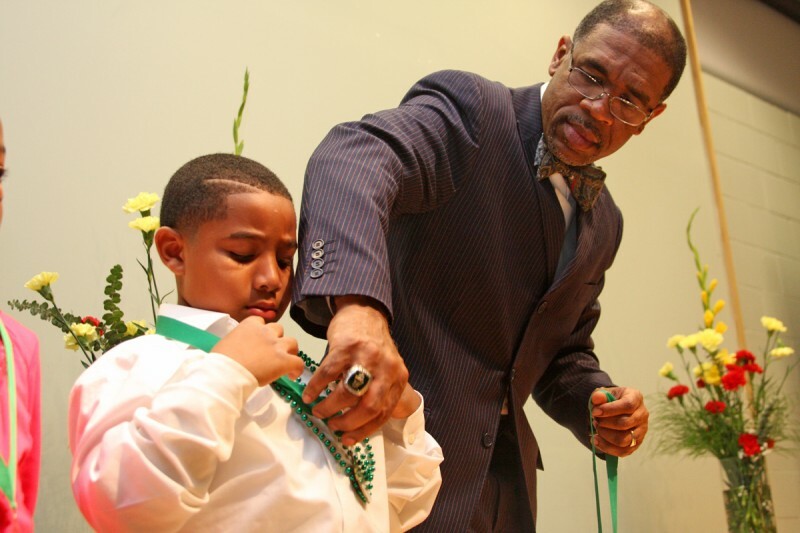 Eventually, they decided to get in touch with the group COSEBOC, a membership organization that has become a leader in the education of black boys. McComb paid $3,500 to join the group. COSEBOC held its first-ever national conference at Mississippi’s Jackson State University last June, gathering hundreds of experts from across the U.S. to attend workshops and discuss COSEBOC’s standards, which include ways to meet the needs of black boys in everything from test preparation to curriculum and college enrollment. COSEBOC relies on specific tools, training and standards developed in partnership with New York University’s Metropolitan Center for Urban Education (Metro Center). Related: Can the hundreds of education experts who flocked to Jackson improve lives for the state’s black boys? In 2009, under the leadership of then-Superintendent Therese Palmertree, McComb became the first district in the state to adopt COSEBOC standards. Mississippi black males graduated at a rate of just 51 percent for the 2012-13 academic year, compared with 63 percent of white males. School officials were shown ways to make the school environment more supportive of black boys, in a program that examined everything from guidance counseling and school culture to the cultural relevance of curriculum. In McComb, the COSEBOC guidelines are being introduced as the state’s principals and teachers are struggling to keep up with new academic and professional standards that seemingly change every year. COSEBOC director Ron Walker believes the extra effort is worth it. Mississippi educator Rhea Williams-Bishop believes last June’s gathering in Jackson “elevated the conversation and raised valid questions about the significance of black male achievement,’’ and says she promotes COESBOC’s standards via her work as executive director of the non-profit Center for Education Innovation, based in Jackson. Still, Williams-Bishop can’t point to any policy changes at the state level that resulted from the gathering. And without the state’s endorsement, the most a district can do is encourage better teacher training. 17 percent of black students were suspended in Mississippi in 2012-2013, compared to just seven percent of whites. In one effort to boost black male achievement, the board of Alignment Jackson — a nonprofit that works with public schools in Jackson — brought together university faculty, lawyers, and other leaders to develop and form ninth- grade academies within each public high school in Jackson. The group identified the need to focus on ninth- grade students and created a plan to reorganize schools to help make that happen. Williams-Bishop said COSEBOC standards are being introduced in schools throughout Jackson via the district’s Cultural Competence/Relevance Committee, which she chairs. Walker of COSEBOC sees this as progress. Is Change Going to Come? That might not be soon enough for Mississippi, which, along with Louisiana, has the highest proportion of young adults aged 16 to 19 who are considered “disconnected’’ — they are not in school or working — according to the Kids Count Data Center, a project of the Annie E. Casey Foundation. The report found that with 12 percent, Mississippi has some 22,000 disconnected youth – if all these youth were in the same school district, it would rank as the third largest district in the state. That number is far too large, says Donna Harris, an independent researcher in Rochester, NY whose work focuses on how students progress from kindergarten through 12th grade. Most people refer to students who leave school prematurely as dropouts. Harris says too many students are actually pushed out, because they are bored, miss too many classes or lack social and emotional support. 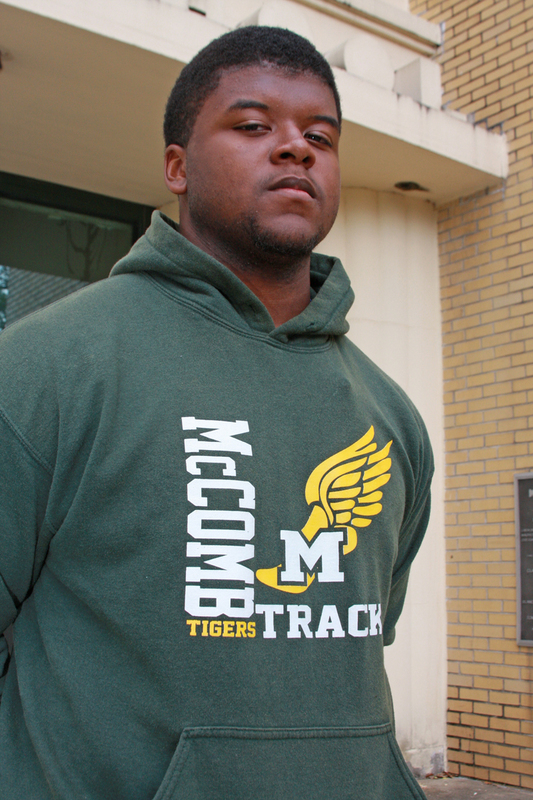 Lakeivion Isaac, a junior track and field star at McComb High School who hopes to be an engineer, believes the training he got by attending a COSEBOC conference in Durham, N.C. as an eighth-grader in 2012 made a difference in his life. “I want people who know me to say ‘I went to school with the person who made that car,’’ said Lakeivion, an honor student who is on the superintendent’s advisory board. Robert Lamkin, Lakeivion’s current principal, credits COSEBOC with giving students a larger worldview. At the 2012 Durham conference and again at the 2014 event in Jackson they had a chance to meet university presidents and top professionals, while attending seminars on college admission, he said. The impact of COSEBOC and its standards on students who attended the conference inspired Lamkin to create “Men on the Move,” a college exposure/mentoring program that takes students of varying academic abilities on college tours and also introduces them to local leaders in McComb. Some 62 McComb students are in the program now, he said. The research is mixed on whether mentoring programs effectively keep students on track for graduation. However, Lakeivion, who is a member of Men on the Move, believes the program will help boys like him. Lamkin said he will stay focused on black boys and the obstacles they face, and feels keenly their absence from senior pictures of the district’s highest academic achievers.